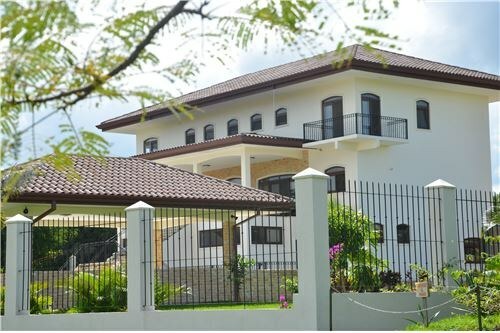 Located in one the best areas in Los Reyes, this luxurious but welcoming property lies in a 3117m2 lot, and rises magnificently into a 3 storey palace, with more than 700m2. 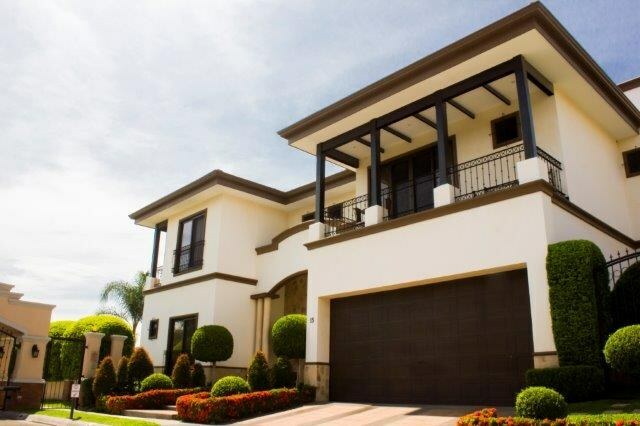 Just to have a look at the house´s surrounding areas is something really beautiful; fruit trees, BBQ ranch with Internet and cable TV outlets, a 100m2 swimming pool, green areas and a 2 car roof covered garage, are part of the exterior. $ 160.000,-- Views that change by the minute from sunrise to sunset! 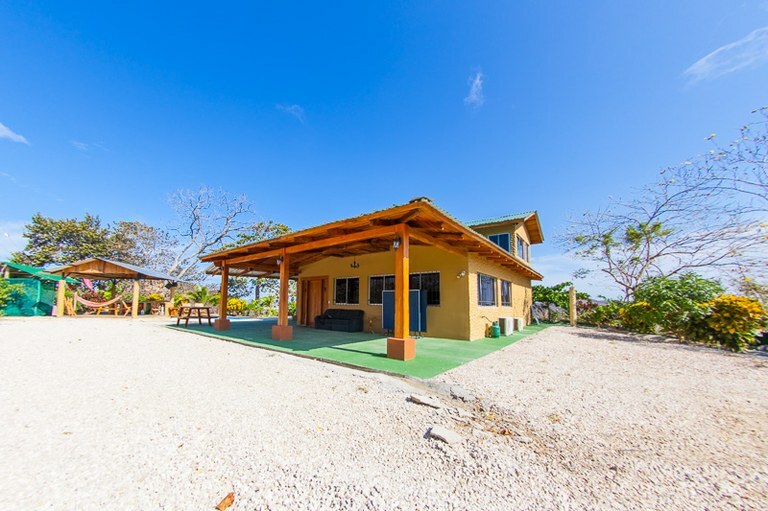 Tucked away in a jungle setting only a short distance to a paved road sits this open concept, 2 bedrooms, 2 baths, with incredible views. Southern exposure for good gardening and designed to take advantage of the phases of the moon as it passes through the palm trees making a myriad of light shows. New construction! Newly remodeled to enhance the great views on this lake view two bedrooms, two bathrooms with the master having a bathtub overlooking the lake view. House is near the end of a quiet lane off the paved road in San Luis. This property is within walking distance to all amenities to include the lake and two of the best restaurants in the area. Also available next door 1/4 acre lake view lot for $30,000. Live in this while you build your dream home and use this is as your guest house. Photos and details of all work will be available to the purchaser so there are no surprises, and to ensure the quality of work that has been done. - Modern concrete built, one-story building. - Front yard and porch. - Living and dining room. - Nice and comfortable kitchen cabinet. - Master bedroom with bathroom. - 2 bedrooms with shared bathroom. - Large backyard. - Parking for up to 15 cars. - Area surrounded by greenery and fruit trees. - Easy access to all services. - Main road frontage property in a high value area, perfect for business. Excellent opportunity!!! A luxury residence with 5 bedroom suites, one downstairs and 4 on the second floor, located in secure and convenient Hacienda del Sol in Santa Ana. Gourmet kitchen connected to dining room and terrace… Manicured gardens, a private pool and sound music system are just a few of the amenities of owning this property. 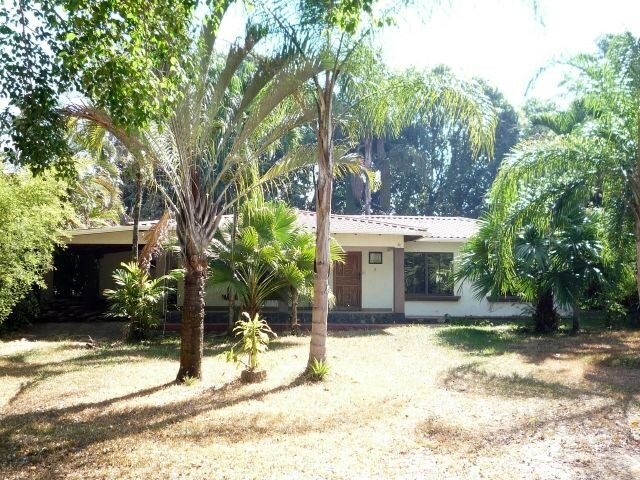 Location, location, location… minutes away from the best private schools in Costa Rica, the Forum and Cima Hospital. Very secure neighborhood with great amenities (tennis court, club house with heated pool) and the easiest access in the city. Villa 187: This spectacular home features a spacious floor plan with many upgrades!!! This 3 bedroom, 3 bathroom home, measures 2,100 sq ft of construction, and sits on a 1/4 acre lot, just 100 yards from the sandy beach. The kitchen is fully equipped with custom hard wood cabinets. All three full bathrooms, have natural stone floors, walls, and counter tops, with an over sized tub in 2 of the 3 bathrooms. The house has a central A/C system, all rooms have ceiling fans and all windows have screens. The house comes completely furnished. The glass sliding doors in the living room and master bedroom, provide light and incredible views out to the tropically landscaped garden and pool area. The backyard features a custom designed swimming pool and a Jacuzzi, situated right next to the "Rancho" with original pizza oven. There is also another gazebo with pool table to make this tropical landscaped backyard absolutely perfect for entertaining. Rios del Congo: 2 Bed, 3 Bath Home with stunning panoramic view of valleys, mountains, and volcanoes!! 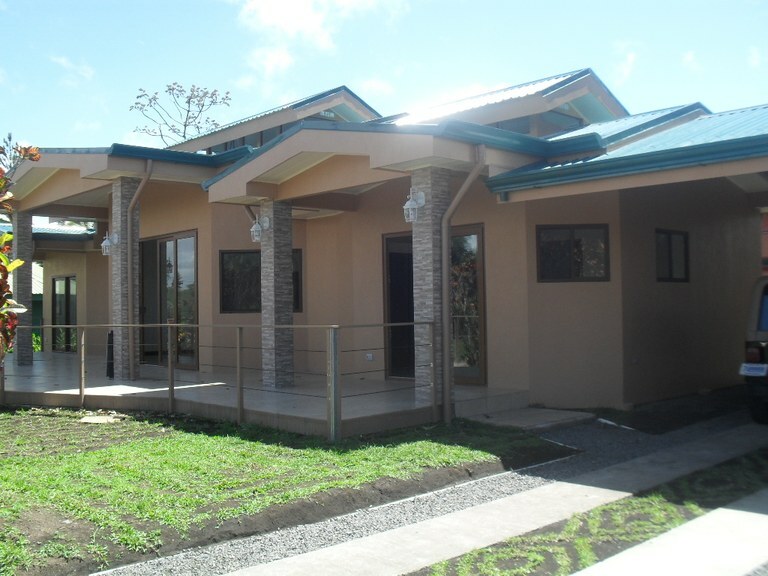 This home has a stunning panoramic view of valleys, mountains, and volcanoes while being a peaceful getaway. The majestic views of Miravalles and Tenorio volcanoes provide a fantastic backdrop to an already amazing view. The views make for a peaceful hacienda either while sitting in the living room or on the patio enjoying the swimming pool or grilling under the rancho. Flamingo Towers is a unique hillside condominium complex encompassing three buildings. Sunsets each evening from your large covered deck and sunrises from right out your front door. Access to both the town of Flamingo and Brasilito is simple and only minutes away for shopping, dining, recreating and beyond. 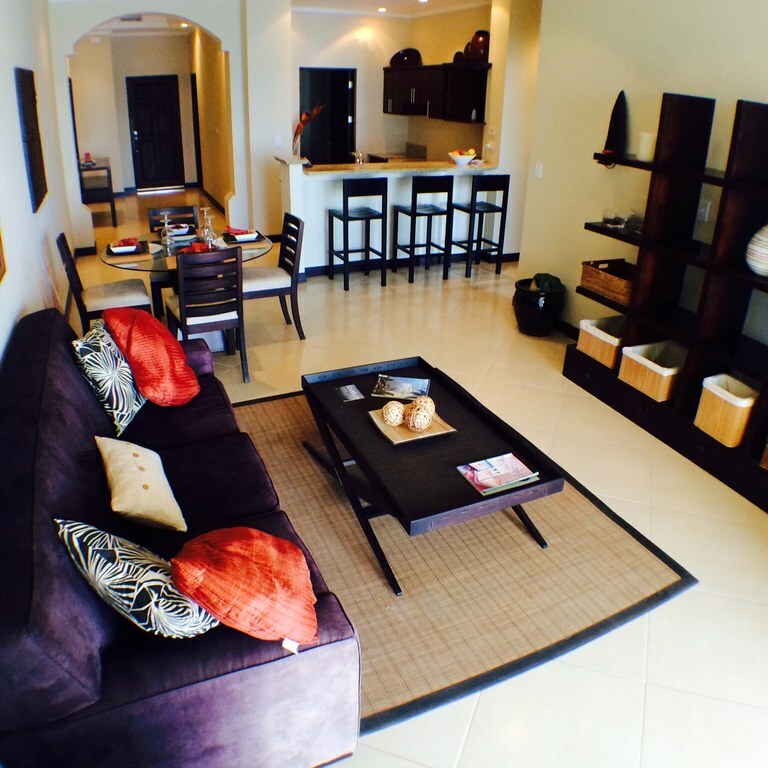 Flamingo Towers offers the buyer, covered parking, 24hour security, 2 pools, city water, a bilingual on-site administrator, energy efficient construction, central air, 2 elevators and much much more. Priced to sell, these never before lived in units are perfect for the investor who wants a permanent home, vacation home or simple a way to make their money work for them. For the next three months we offer discount incentives for purchasers, an attractive owner finance package and an estimation of your ROI if you decide to rent your unit out. Retire with peace of mind in this one level 2 bedroom 2.5 bath home that has easy access. By that we mean the builder used a ramp for the entrance instead of stairs. Located in a gated community for additional convenience. Master bath has a steam/sauna unit. Open concept kitchen/living area with bedrooms on either side for privacy. Club house and pool for recreation as well as boat launching services for those that want to enjoy the water. All services available to include high speed internet. 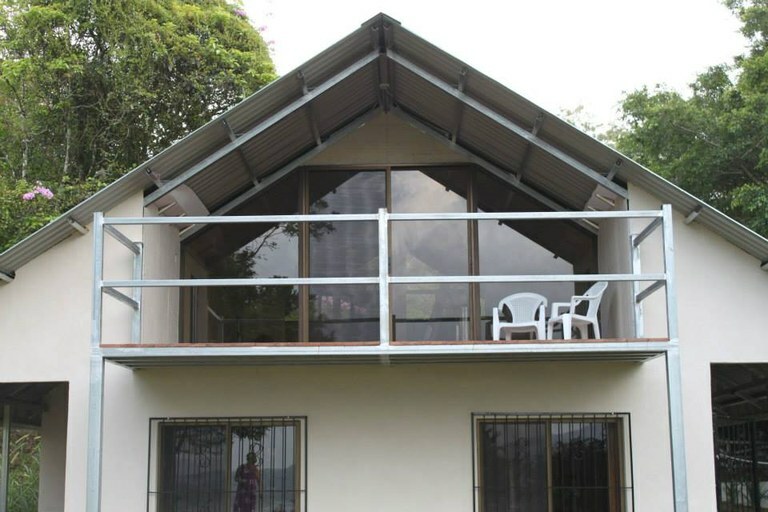 Close to all amenities as Tilaran, the municipal "hub" of the Lake Arenal region is only 7 minutes away. HOA fees on this home is a meager $157.50 per month. 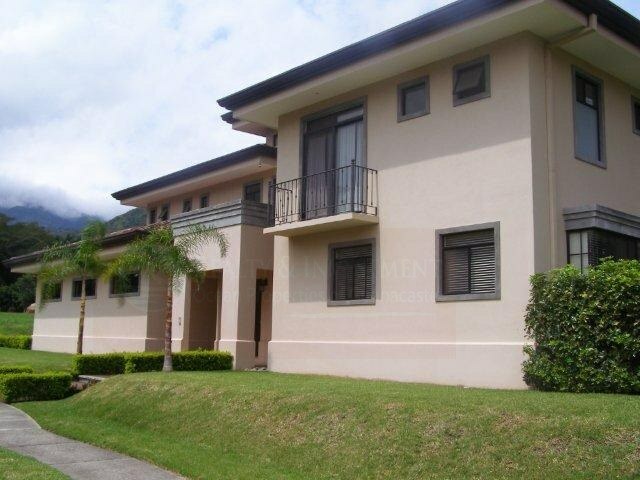 This house with 3 bedrooms and 4 bathrooms is located in Santa Ana, San José Costa Rica, in the county of Santa Ana. 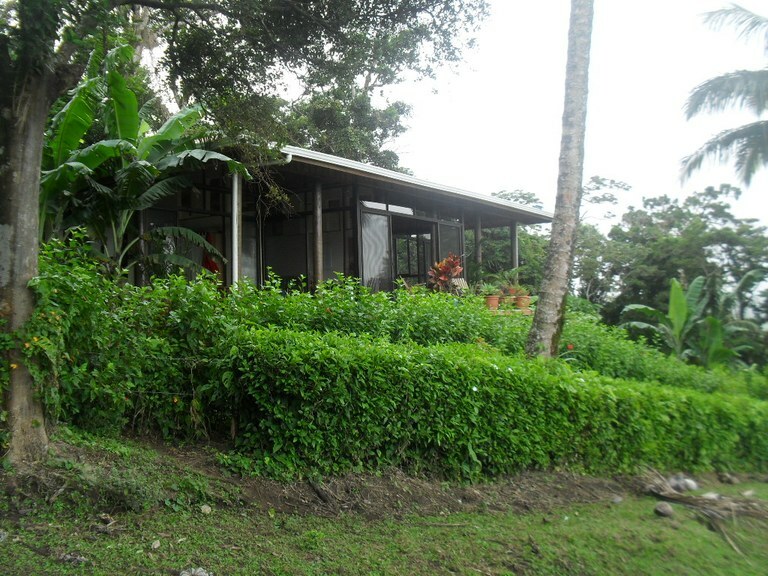 This property with mountain, greenbelt and garden views is situated in the tropical dry forest of Costa Rica. The land area of this house is 1,000.00 square meter (10,763.87 square feet), and it has a living space of 450.00 square meter (4,843.74 square feet). This house has air conditioning through a wall unit.